How much home can I afford? This is not an easy question to answer. 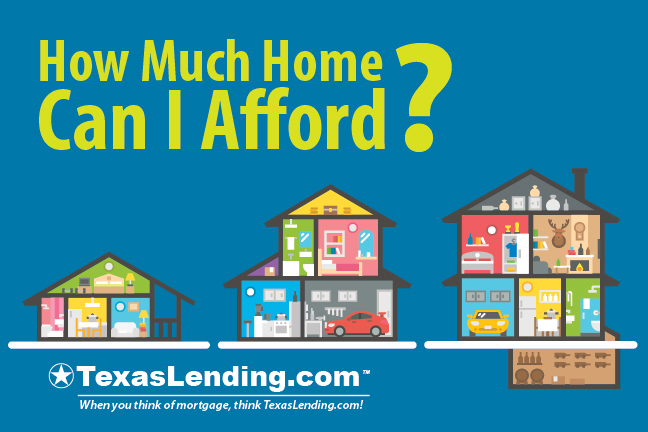 In order to truly know how much home you can afford you will need to take an in-depth look at your finances, mortgage options, and the type of home you are looking to buy. If you are currently renting an apartment or home, you probably know how much you can afford to pay towards a monthly mortgage payment, based on your current rent. What you don’t know is how to estimate your monthly mortgage payment based on the price of a home. That is where we can help. While these calculations are the easiest way to get an estimated idea of potential home prices, your true budget is more complex. Having a conversation with a licensed mortgage consultant about your income, savings, and current expenses is the best way to get the most accurate assessment of what you can afford. Mortgage consultants have up to date knowledge of the current mortgage guidelines, and can give you a wealth of information about your home loan options. You can learn more about improving your offer without going over budget in this article. How much home you can afford is not the only piece of information that is important in buying a home. In order to qualify for a home loan lending companies also verify your credit score, work history, tax history, debt to income ratio, and other financial factors. Click here, to learn more about about getting pre approved for a home loan. When considering the affordability of potential homes, it is also important to consider the costs associated with the property its self. Some properties come with additional costs that are worth calculating in how much home you can afford. Look for features of the property that come with additional costs. Some neighborhoods and Condos comes with required home owners association dues, ranging from a small annual amount to significant monthly fees. Maintenance of special features of the home like a pool, major landscaping, or other customization could add extra costs. The location of the home determines the amount of property taxes you will be responsible for paying annually. In a previous blog post we discussed how the neighborhood effects the value of a home. While the value of the homes in the neighborhood are on the rise and may incur higher taxes, your equity and resale value will also grow. One of our goals is to give you the information to help you achieve success in your home ownership goals. Learning how much home you can afford and getting pre approved for a home loan is a great place to begin. Although this article outlines the major factors to take into consideration, the best way to understand how much house you can afford is to speak with a licensed mortgage professional. Buying a home takes a bit of planning, goal setting, and a good team. We would love to be an asset to your home buying team.